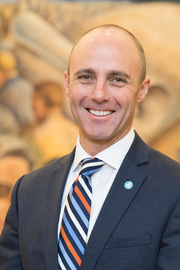 In this first Dialogue of 2019, Bob Tayek speaks with Dan Moulthrop, the CEO of the City Club of Cleveland about the importance of freedom of speech, its part of the central mission of the organization, and an annual essay contest open to students all across Northeast Ohio. By name, the Hope and Stanley Adelstein Free Speech Essay Contest was established by long term members of the club to encourage discussion of the role of free speech in the 21st century. The deadline for entries is March 11, 2019.